By clicking on the Cancel Membership button below, you are acknowledging you are aware that you will need to pay the full initiation fee if you decide to rejoin FAPA.aero at a later date. Are you sure you want to cancel your FAPA.aero membership? You owe it to yourself and those who depend on you to stay on top of the industry and the latest trends and developments in the professional pilot career. No organization can help professional pilots do that as effectively as FAPA.aero, for pennies per day. Why settle for getting your facts from dubious sources and rumors? Doesn't it make sense to pay only $4.95 per month to stay informed about your industry and keep your pilot career on course? You never know when you might need to return to the pilot job market or make a critical career decision. If you're convinced you can manage your career and make flawless decisions and you still want to cancel your FAPA.aero membership, please enter your User Name and Password in the space provided below and click on the "Cancel FAPA.aero Membership" button. If you can't remember your User Name and Password, you may click here and have them sent to your email address on file with FAPA.aero. If you can't remember your email on file with FAPA.aero, send an email to (support@fapa.aero) or call 800 JET JOBS (538-5627)). 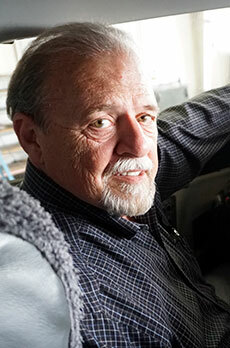 Captain Corby began his aviation career as a Flight Crew Instructor for the Boeing Company, followed by 3 years in the Middle East as a pilot/flight engineer for several airlines, returning to the U.S. in 1977 as a pilot for Hughes Airwest in San Mateo, California. Hughes Airwest later merged with Republic Airlines and eventually Northwest Airlines (NWA). At NWA, he served as NWA ALPA Training Committee Chairman and in this position participated as one of 3 Board Members on the Pilot Training Review Board at NWA. This Board evaluated issues in the NWA training department relating to pilot training deficiencies. He retired from NWA in 2006. I also wanted to thank you for the job fair you guys just held in DFW, I had the chance to talk face to face with AA for about 12 minutes, not quite there for an interview but I got a lot of useful information.